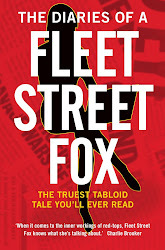 fleet street fox: Poor foolish humans. 1. Hugh Grant's idea of "supportive" fatherhood is a half-hour with the baby followed by a four-day golf tournament he wasn't even in after the first three rounds. "Well, this is going to be a handicap." 2. Someone's decided to ask the Greeks if they feel like doing any work after lunch. 3. We have 72m mobile phone handsets in a nation of 60m people; if you knock out those who don't have one, like babies, the frail and the insane, around 22m of us are having affairs. 1. 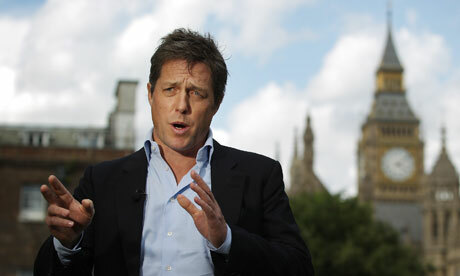 Hugh Grant may launch the kind of shagging spree which will make the last days of Rome seem tame. 2. These drachma receipt books will come in handy again. 3. Two thirds of us are probably busy hacking the text messages, voicemail and emails of our other halves using the 'how to' explanations so kindly produced by snoresheet newspapers in the past year, and therefore two-thirds of juries in the upcoming phone-hacking trials will be guilty of the same offence they will be trying a handful of journalists for. All of which makes great copy for tabloid hacks like me, and also goes to show that the only thing you can ever rely on humans for is to screw things up. "Apparently Andy Coulson hacked my condoms, which is a bally outrage. My golf game's really suffered."